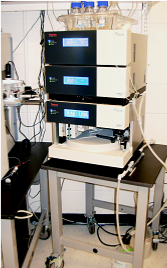 This matrix-assisted laser desorption ionization time-of-flight mass spectrometer with delayed extraction is used to for identification of proteins from 2D gels using peptide mass fingerprinting (peptide mass mapping) in reflectron (high resolution mode). In linear mode another detector is used to determine the mass of intact proteins. Mascot proteomics software (V. 2.5.1) (Matrix Science Ltd.) running on a Lenovo ThinkStation P500 with Intel Xeon E5-1650 v3 Processor (15MB Cache, 3.50GHz), 64 GB RAM This database server allows comparison between mass spectra and protein databases to facilitate the identification of proteins. This quadrupole acceleration, time-of-flight mass spectrometer provides high mass accuracy for both precursor and product masses. 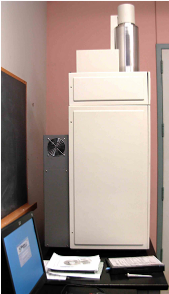 This innovative instrument allows mass spectra to be recorded at alternate low (precursor) and high (product) fragmentation voltages. This instrument support lipidomic, metabolomic and proteomic analyses. It is equipped with a number of innovative features including second generation high definition mass spectrometry (HDMS) capability for implementing ion-mobility separations and electron-transfer dissociation (ETD). 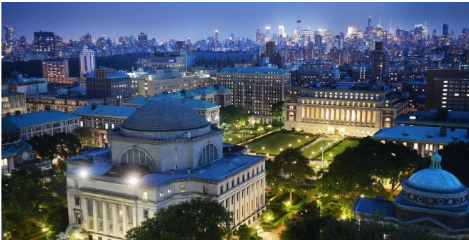 The system in support of our proteomics efforts is designed for nano-scale, capillary, and narrow-bore separations to attain the highest chromatographic resolution, sensitivity, and reproducibility. Direct nano-flow offers significant improvements over conventional nano-flow separations technologies. The system's 10,000 psi operating pressure capability allows for superior high-peak capacity separations by operating longer columns packed with sub-2 µm particles. 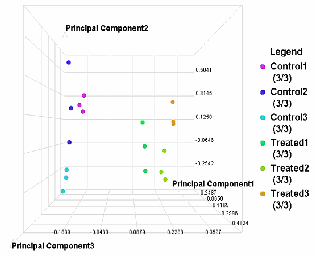 The PLGS software platform leverages the selectivity of exact mass data and the specificity of MS^E analysis. Combined with intelligent filtering and scoring routines, this minimizes the occurrence of false positive results. 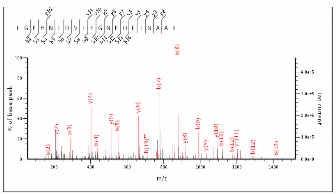 PLGS also features Identity^E with comprehensive peptide ion accounting informatics that mines the label-free UPLC/MS^E data to identify more peptides/proteins with high sequence coverage and provides quantitation for a wide variety of samples. Enhancements to this protein identification and quantitation software have been achieved through incorporation of support of ion mobility spectrometry (IMS) data and the parallel processing capability of our 460-core, graphics processing unit (GPU) equipped computer. The Elucidator system (V. 4.1) performs data management and analysis for label-free mass spectrometry data, for accurate peptide and protein identifications. This software runs on our HP ProLiant ML350p Linux server with two Intel Xeon E5-2650v2 (2.6GHz/8-core) processors with 128 GB RAM and dual 600 GB SAS 15K rpm enterprise drives a 32 TB NAS unit from Synology. The Elucidator system allows our center to perform data mining and discovery of potential protein biomarkers and proteins that are differentially expressed among different tissues, cell types, affinity preparations genotypes, subcellular organelles, phenotypes, drug or other treatments. 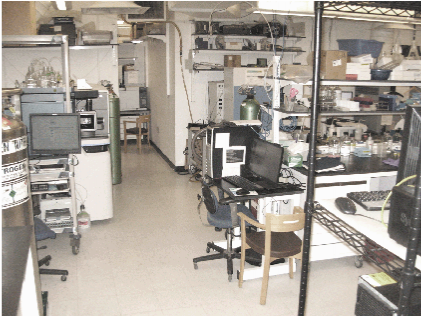 Data mining matches accurate mass and retention time measurements for mass spectrometric features across large and complex experiments, substantially increasing usable data from each experiment. In addition, Elucidator provides a suite of advanced statistical analysis and visualization tools for protein expression analysis. This software is fully enabled to import both raw and processed data, fully supporting our data-independent acquisition and data-dependent acquisition workflows for the Orbitrap Q Exactive HF and Synapt G 2 Mass Spectrometers. 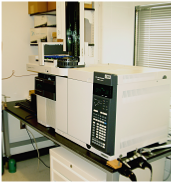 Agilent 7890B Gas Chromatograph coupled to an Agilent 5977A mass spectrometer supports efforts in metabolomics. 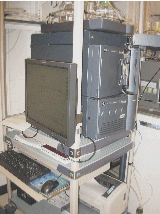 Informatics on this system is supported by the Fiehn GC/MS Metabolomics RTL Library as well as NIST Spectra Library, NIST search, AMDIS and MET-IDEA programs. The ACQUITY UPLC I-Class features flexibility and precise sampling capabilities. It provides high-precision injections, excellent sample recovery, and optimal performance for mass spectrometry. The system is capable of complex, sample-limited analyses that represent separation challenges requiring an LC system that can maximize the benefits of sub-two-micron particle size columns for high throughput and optimized MS performance in support of our lipidomic and metabolomic analyses.